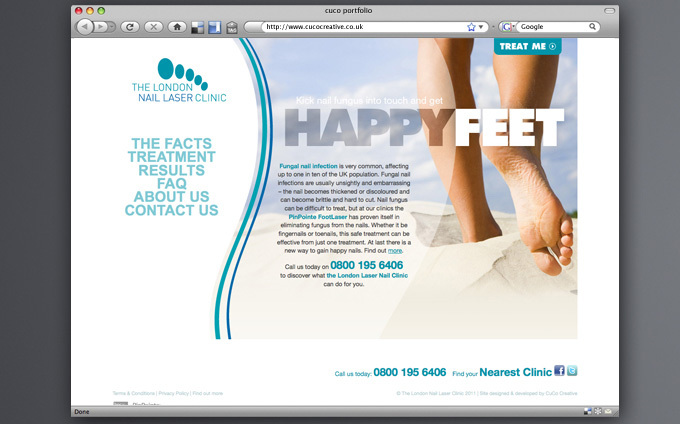 We have just pushed the button on a new site for The London Nail Laser Clinic. CuCo designed and developed the site using the popular CMS WordPress. It is built around many of the core features of WordPress and relies heavily on custom fields and custom posts to create a very simple to administer site. Stage two of the site will include an online shop. Meanwhile CuCo has also been briefed to design new packaging for one of the clinic’s main footcare products.